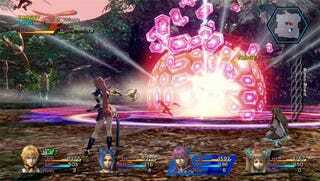 Star Ocean: The Last Hope Finally PS3 Bound? Star Ocean: The Last Hope was a good get for Microsoft, moving more than 420,000 copies on the Xbox 360, managing to become bestselling Xbox 360 game in Japan. That game may also be coming to the PlayStation 3. According to a listing from online retailer and rental service Gamefly, a PlayStation 3 port of Star Ocean: The Last Hope is on its way. The date is still "TBD" and Square Enix hasn't announced said port—it wasn't on the list of titles the company planned to show at Gamescom—so we're taking it with a grain of salt. On the other hand, Microsoft's window of exclusivity for the newest Star Ocean game could be winding down soon. Plus, Gamefly's pretty accurate about leaking unannounced titles. If a PlayStation 3 release is planned, it wouldn't surprise us one bit. We've asked Square Enix what the deal is with the PS3 version, but haven't yet heard back.